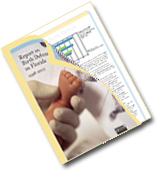 The Florida Birth Defects Registry (FBDR) was established in 1999 as a passive statewide population-based birth defects surveillance system to protect and promote the health of people in Florida by detecting, investigating, and preventing birth defects. The legal authority to conduct birth defects surveillance is established in Section 381.0031(1,2) Florida Statutes, list of reportable disease/conditions, and is further defined in Florida Administrative Code 64D-3.035:Congenital Anomaly Reporting. the infant is diagnosed, in the first year of life, with one or more structural, genetic, or other specified birth outcome that can adversely affect an infant's health and development, primarily ICD9-CM codes in the 740-759.9 code range. the date of delivery is on or after January 1, 1998. The FBDR's passive case ascertainment methodology involves the linkage of multiple secondary "source" datasets including Florida Division of Public Health Statistics and Performance Management birth records, the Agency for Health Care Administration (AHCA) hospital inpatient and ambulatory discharge databases, Regional Perinatal Intensive Care Centers (RPICC) data, Children's Medical Services (CMS) case management records, and CMS Early Steps data. The FDOH received funding from the Centers for Disease Control and Prevention (CDC) National Center on Birth Defects and Developmental Disabilities (NCBDDD) as part of a cooperative agreement that has proposed several objectives to improve and expand existing surveillance methodologies, enhance health promotion and prevention activities, and increase understanding and evaluation of service and early intervention referral mechanisms. Primary activities will include 1) improving the accuracy and completeness of existing birth defects surveillance data in Florida through a statewide defect confirmation system and an increased maternal and child health data capacity; 2) continuing and augmenting support and collaboration with stakeholders (e.g. Florida Folic Acid Coalition, March of Dimes) to engage in prevention efforts; and 3) describing the system of care, patterns and predictors of service utilization, and families' level of satisfaction with services available for infants and young children with birth defects. A logic model will be developed to incorporate existing and proposed surveillance goals and activities and to serve as a framework for program planning and evaluation. Since 2007, the FDOH has received funding from the Centers for Disease Control and Prevention (CDC) National Center for Environmental Health in another surveillance project to collect high quality birth defects data for the Environmental Public Health Tracking (EPHT) initiative. EPHT is the "ongoing collection, integration, analysis, interpretation, and dissemination of data on human exposure to environmental hazards and health effects that may be related to those exposures". The collection of these data will allow analyses of geospatial and temporal patterns and distributions of major birth defects. For the purpose of this project, a case is defined as any fetus/infant diagnosed with one of the 12 aforementioned defects from conception through one year of age, who was born to a Florida resident mother, and who received care or was born in the EPHT catchment area.